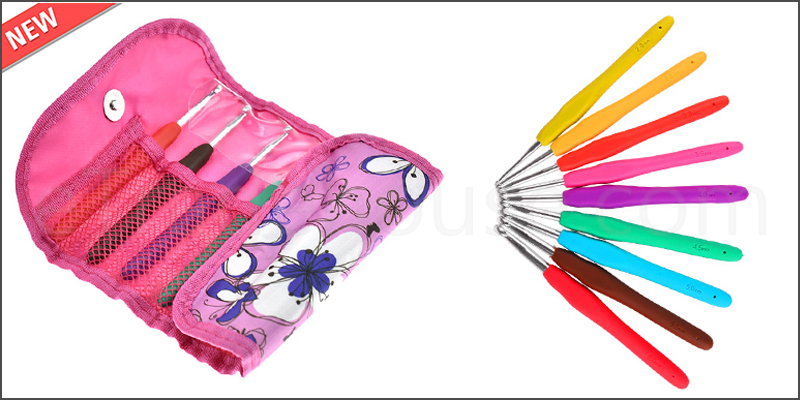 · High Quality Multi-Coloured Crochet Hooks Knitting Needles Set. · Very easy to carry and convenient to use. · Multi colored for easy distinguishing. · Made of high quality TPR + Aluminummaterial. · Ergonomic shape grip, very easy to handle. · Can’t easily get deformed and veryconvenient to carry. · For enhancing ease, sizes are marked on each needle. · Nice needles with smooth finish. · Comes with a convenient carry bag. · Ideal for all crochet projects.